Please welcome guest author Lynn Cullen to The Debutante Ball today! 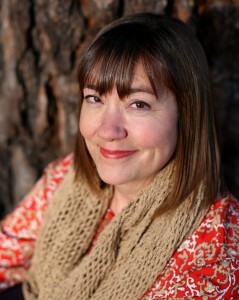 Lynn is the author of The Creation of Eve, named among the best fiction books of 2010 by The Atlanta Journal-Constitution and as an April 2010 Indie Next selection. She is also the author of numerous award-winning books for children, including the young adult novel I Am Rembrandt’s Daughter, which was a 2007 Barnes & Noble “Discover Great New Writers” selection, and an ALA Best Book of 2008. Her novel, Reign of Madness, about Juana the Mad, daughter of the Spanish monarchs Isabella and Ferdinand, was chosen as a 2011 Best of the South selection by the Atlanta Journal Constitution and was a 2012 Townsend Prize finalist. Her newest novel, MRS. POE, examines the fall of Edgar Allan Poe through the eyes of poet Francis Osgood. Lynn has offered to send one lucky commenter a copy of Mrs. Poe—more details at the end of this post! The best thing that ever happened to me as a writer came to me out of the scariest time of my life. It was two years ago, during the height of the Recession. My husband was out of work like so many others, having lost his job the year before. I’d just gotten word that the book I’d been working on for the previous eighteen months was turned down by my then-publisher. In an insecure market, my publisher wanted a book with a feisty heroine. It seemed that feisty heroines sold during that time when so many of us were feeling decidedly uncertain. A few days after my book had been rejected, my husband became ill. He had a terrible headache and was in an odd daze. With misgiving, I went shopping with my daughter, but cut the trip short, sensing something was wrong at home. When I returned, Mike was sitting on an ottoman, staring into space. His beloved Atlanta Falcons had a big game then and the TV wasn’t on. A touch to his forehead revealed that he had a fever. That made him look. But he had no answer. I asked him again, my skin tingling with alarm. He could not answer. He looked confused. Every pore in my body jangled with fear. I rushed him to the hospital. By the time he was admitted, a few hours later, he had regressed into a primal state. A spinal tap confirmed that he had a viral form of meningitis or encephalitis. I almost lost him. He was unconscious for a few days. I stayed by his side, fearful that he would stroke out from inhuman blood pressure readings and an untamable fever. When he awoke, he was no longer my Mike but a confused wounded creature. I took him home three days later, still uncertain that I would ever get him back. I looked him up. Even in my unhinged state, I saw that Poe was my kind of subject: He was misunderstood. Poor. An underdog looking for redemption. I loved him. But I wanted to write from a woman’s point of view. I saw that some scholars suggested that he had an affair with a poet named Frances Osgood. She herself had been abandoned by her husband and was trying to support herself with her writing when she met Poe. Once again, my skin tingled, but this time with an alarm of a different sort. I knew instantly that I had to write about her. I knew this woman. She was me. That was the beginning of the most deeply emotional book I have ever written. It has made me many fascinating new friends and opened doors to incredible places, including up into the bell tower of Trinity Church in New York City. As I wrote the book that would become MRS. POE, Mike worked hard to restore his brain function. I am proud to report that he is now fully recovered. And to what does he owe his recuperation? Sentence by sentence, paragraph by paragraph, chapter by chapter, he re-taught himself to read, eventually inching through dozens of literary novels. You could say that books saved my husband. Writing one saved me, too. What has cured you or a loved one? GIVEAWAY! Comment on this post by 11:59 p.m. 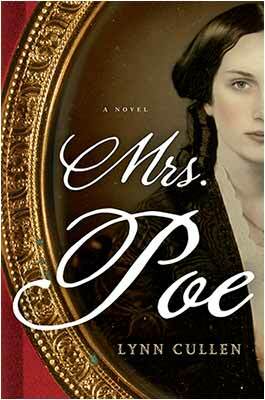 ET on Thursday, October 31, and you’ll be entered to win a copy of Mrs. Poe. Follow The Debutante Ball on Facebook and Twitter for extra entries—just mention that you did so in your comments. We’ll choose and contact the winner on Friday. Good luck! Thank you for being so honest and sharing your story of difficulty. I began working on my series a few years ago when my husband became deeply depressed following the loss of his mother. I lost my mother two months ago today and I worked on my current wip. Writing can be a lifesaver for sure. I am so excited to read this book. Congratulations on your release! A very moving story, Lynn. I so hope he has mostly healed. It’s beautiful irony the way that idea came to you in such a tumultuous and painful time. Thanks for sharing here! Lynn, thanks so much for sharing you story with us. I’m trying to imagine your stress levels. How wonderful that your brain came to your rescue, popping up with an idea from wherever ideas come from. I’m glad to hear that your husband is fully recovered. Thank you for your kind responses. I so appreciate the chance to tell my story-behind-the-story on your lovely blog, Lori, Natalia, Susan, Heather, and Lisa. Piper, I’m glad you have your writing to help you through a painful time. It’s such good therapy, and you will end up with some honest, beautiful work from it. My heart goes out to you. Best wishes for healing and creating! I was so happy to get to the end and find out your husband is fully recovered — thank goodness. As for the tingling feeling, I had the same with a historical literary figure I just finished writing about. It’s such a marvelous feeling when we can find those connections to people we’ve never known but have so much in common with. I simply cannot wait to read your book, Lynn. It sounds as remarkable as your personal story. Wow, Lynn–I had NO idea you’d faced such difficult times. What a powerful and moving look at the restorative power of art–for all of us. And now I must go because I suddenly have something in my eye. Both eyes actually…. Thank you so much for sharing your story with us, Lynn. I am in awe of the strength it took for both you and your husband to recover—he from such a huge health scare and you from rejection, which I believe also requires some recovery time for us writers. I’m so happy to hear he’s better now, and I cannot wait to read Mrs. Poe! Best wishes to you both! Thank you for sharing your story. Writing is so therapeutic. What a heartwrenchiing and emotional story. Your trials and tribulations with your writing and your husband’s serious illness showed me how courageous and determined you are. Your inner strength and perseverance is admirable. Mrs. Poe would be a memorable book that resounds with me. I was ill for nearly a year and was taken by surprise with this medical crisis but am now recovering. Congratulations and best wishes and the best of health, happiness and success. My goodness! I can not imagine what a scary time that was for you and your family! I am glad writing helped you through it!